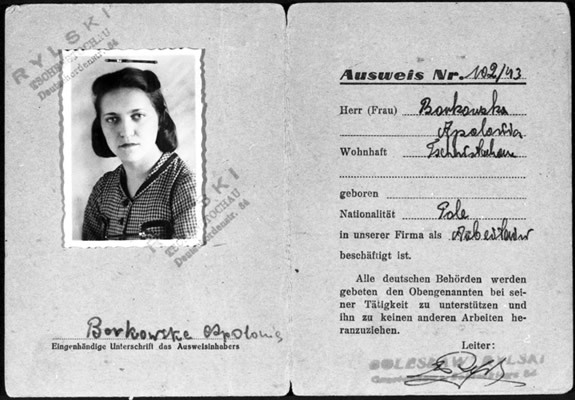 This identification card proved that Paula and her sister worked partially for the German army. The siblings worked in a glass factory that made medicine bottles for use in the war. The document shows Paula's false name, Apolonia Borkowski.